Combat was super-fast paced - we fought multiple fights within an hour - and the latest iteration of the no-attack roll mechanics proved very fun. The per-round initiative system didn't slow anything down and added pleasant unpredictability. The exploding dice added spice at just the right time when a massive critical explosion slaughtered the killer bee queen. Tricks (special, learnable martial abilities) proved worthwhile and added flavor without excessive complexity or time-consuming decision making - it was obvious when the right time was to use the tricks yet they still offered a trade-off. Tactical hex maps with a 1m scale worked great - they seemed big at first, but gave ample room for movement and occupants. Non-combat play also went well. 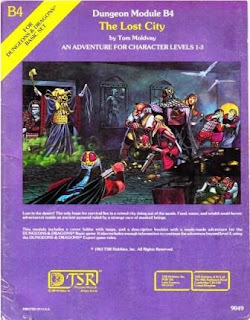 I'm using more of the OSR strategy where I expect players to describe what they do and then apply the right mechanic - so a player doesn't roll "find traps" for the hallway, but rather they describe what they want to do and then the GM decides if a roll of some kind is needed. Most of the time it wasn't, although we had an interesting post-game discussion on jumping. Baby Bat's character made creative use of beetle chitin to look for traps, she got soaked by mischievous sprites, she discovered a firework and used it to great effect in a giant beehive, and she filled an inkwell with sticky honey for frightening future potential. Basic treasure generation provided a few stacks of coins and a couple of gems - a half-carat amethyst and a well-cut one-carat citrine. Social interaction with the local extremists went well - although as a Conquestor, Baby Bat didn't have many social specialties, so these interactions were really just fundamental roleplaying. I will explain more details of Phoenix in upcoming posts - for now I just want to share the excitement of a successful playtest.